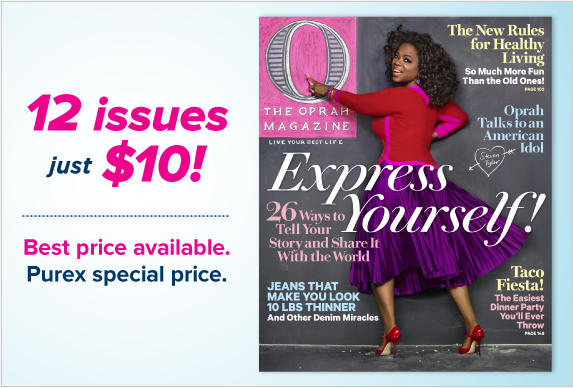 Oprah Magazine 1 Year Subscription Only $10! Sign up to receive a one-year subscription to Oprah Magazine for only $10 thanks to Purex. You usually don’t see the price this low, so now’s the time to sign up to sign up to receive it.